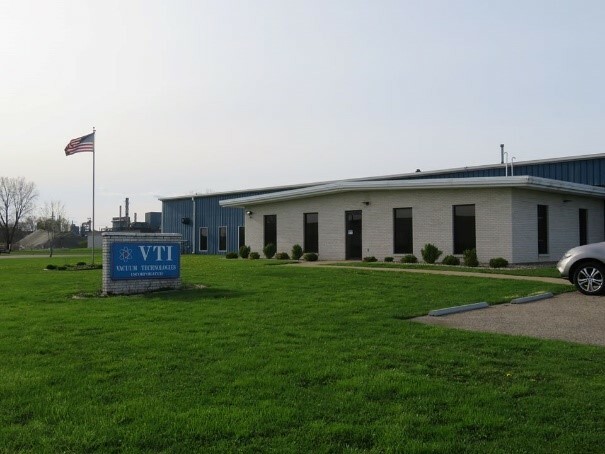 Testimonials | VTI Vacuum Technologies, Inc. Since 1993, VTI has been a leader in vacuum metallization, solving our customer’s EMI and RFI shielding challenges. Our shielding processes have continuously evolved and improved to meet the changing demands of our customers. Proof of our dedication to providing superior customer service, on-time delivery and constant quality shielding and gasketing solutions can be found in our testimonials below. You can also refer to our BBB Accredited Business Profile for more on the standards we’ve followed to earn this nationwide accreditation. To see for yourself why our vacuum metallization and gasketing solutions are superior, contact our Sales Team today. "Large enough to serve you, small enough to know you." This is a fairly old adage, but one that was invented for stellar companies such as VTI. Not only is VTI the best in the [vacuum metallization] industry, but they are arguably the very best in customer service. They answer with a smile, always ready to serve, and frequently go above and beyond the normal call of duty to meet our aggressive demands with lead time. Quality is always top notch with a lot of attention paid to detail, and quality issues (although very infrequent) are always met with top problem-solving professionalism. They bend the furthest I’ve seen without actually breaking. Highly recommended supplier, bar none. I would like to thank the entire VTI team for all of their hard work in pulling us through a tough spot on numerous occasions. The work we received has always been first rate. VTI has been extremely flexible in hitting our moving requirements targets. Development Engineer, North Carolina OEM manufacturer for aerospace and defense products. I just wanted to drop a quick email thanking you for your hard work. Your quality of work and responsiveness have been greatly appreciated, and were a major factor in getting the program into production mode." "Keep up the good work!" Supplier Development Engineer, Minnesota OEM manufacturer for medical, defense, aerospace and industrial products. Thank you VTI for your excellent customer service and for the quality work that you do for us. We love the ease of doing business with VTI. We really appreciate your responsiveness and flexibility to get us what we need when we need it. Materials Manager, Ohio injection molding company, producer of plastic enclosures for medical electronic devices and industrial applications. VTI has been a great partner for many years whom has supported us on a very important military product we manufacture for the men and women fighting for our freedom. The quality and delivery record of VTI has been impeccable since we began working with them years ago. President and Chief Executive Officer, Wisconsin injection molding company, producer of plastic enclosures and product assembly for medical, automotive, industrial and defense applications. I would like to thank everyone at VTI for their hard work, extra effort, and dedication to getting the job done. Your responsiveness with all aspects assisted us in becoming a preferred vendor with a new customer. Project Manager, Minnesota injection molding, design and manufacturing company, producer of plastic electronic enclosures for medical, defense and industrial markets.